Criticism of Microsoft has followed various aspects of its products and business practices. Issues with ease of use, robustness, and security of the company's software are common targets for critics. In the 2000s, a number of malware mishaps targeted security flaws in Windows and other products. Microsoft was also accused of locking vendors and consumers in to their products, and of not following or complying with existing standards in its software. Total cost of ownership comparisons between Linux and Microsoft Windows are a continuous point of debate. The company has been the subject of numerous lawsuits, brought by several governments and by other companies, for unlawful monopolistic practices. In 2004, the European Union found Microsoft guilty in the European Union Microsoft competition case. Additionally, EULAs for Microsoft programs are often criticized for being too restrictive. In February 2019, hundreds of Microsoft employees protested the company’s war profiteering from a $480 million contract to develop augmented reality headsets for the United States army. From its inception, Microsoft defined itself as a platform company and understood the importance of attracting third-party programmers. It did so by providing development tools, training, access to proprietary APIs in early versions, and partner programs. Although the resulting ubiquity of Microsoft software allows a user to benefit from network effects, critics and even Microsoft itself decry what they consider to be an "embrace, extend and extinguish" strategy of adding proprietary features to open standards or their software implementations, thereby using its market dominance to gain unofficial ownership of standards "extended" in this way. More recently, Microsoft had their OOXML specification approved by the ISO standards body in a manner consistent with previous attempts to control standards. When Microsoft discovered that its first product, Altair BASIC, was subject to widespread unauthorized copying, Microsoft founder Bill Gates wrote an Open Letter to Hobbyists that openly accused many hobbyists of stealing software. Gates' letter provoked many responses, with some hobbyists objecting to the broad accusation, and others supporting the principle of compensation. This disagreement over whether software should be proprietary continues into the present day under the banner of the free software movement, with Microsoft characterizing free software released under the terms of the GPL as being "potentially viral" and the GNU General Public License itself as a "viral license" which "infects" proprietary software and forces its developer to have to release proprietary source to the public. The Halloween documents, internal Microsoft memos which were leaked to the open source community beginning in 1998, indicate that some Microsoft employees perceive "open source" software — in particular, Linux — as a growing long-term threat to Microsoft's position in the software industry. The Halloween documents acknowledged that parts of Linux are superior to the versions of Microsoft Windows available at the time, and outlined a strategy of "de-commoditize[ing] protocols & applications." Microsoft stated in its 2006 Annual Report that it was a defendant in at least 35 patent infringement lawsuits. The company's litigation expenses for April 2004 through March 2007 exceed $4.3 billion: over $4 billion in payouts, plus $300 million in legal fees. Another concern of critics is that Microsoft may be using the distribution of shared source software to harvest names of developers who have been exposed to Microsoft code, as some believe that these developers could someday be the target of lawsuits if they were ever to participate in the development of competing products. This issue is addressed in published papers from several organizations including the American Bar Association and the Open Source Initiative. Starting in the 1990s, Microsoft was accused of maintaining "hidden" or "secret" APIs: interfaces to its operating system software that it deliberately keeps undocumented to gain a competitive advantage in its application software products. Microsoft employees have consistently denied this; they claim that application developers inside and outside Microsoft routinely reverse-engineered DOS and 16-bit versions of Windows without any inside help, creating legacy support problems that far exceeded any alleged benefit to Microsoft. In response to court orders, Microsoft has published interfaces between components of its operating system software, including components like Internet Explorer, Active Directory, and Windows Media that sell as part of Windows but compete with application software. On 10 October, 2018, Microsoft joined the Open Invention Network community despite holding more than 60,000 patents. A common complaint comes from those who want to purchase a computer that usually comes preinstalled with Windows without a copy of Windows pre-installed and without paying extra for the license either so that another operating system can be used or because a license was already acquired elsewhere, such as through the MSDN Academic Alliance program. Microsoft encourages original equipment manufacturers (OEMs) to supply computers with Windows pre-installed by presenting their dominance in computer sales and arguing that consumers benefit by not having to install an operating system. Because the price of the license varies depending on discounts given to the OEM and because there is no similar computer that the OEM offers without Windows, there is no immediate way to find the size of the refund. In 2009, Microsoft stated that it has always charged OEMs about $50 for a Windows license on a $1,000 computer. While it is possible to obtain a computer with no or free operating systems, virtually all large computer vendors continue to bundle Microsoft Windows with the majority of the personal computers in their ranges. The claimed increase in the price of a computer resulting from the inclusion of a Windows license has been called the "Windows tax" or "Microsoft tax" by opposing computer users. The Findings of Fact in the United States Microsoft antitrust case of 1998 established that "One of the ways Microsoft combats piracy is by advising OEMs that they will be charged a higher price for Windows unless they drastically limit the number of PCs that they sell without an operating system pre-installed. In 1998, all major OEMs agreed to this restriction." Microsoft also once assessed license fees based on the number of computers an OEM sold, regardless of whether a Windows license was included; Microsoft was forced to end this practice due to a consent decree. In 2010, Microsoft stated that its agreements with OEMs to distribute Windows are nonexclusive, and OEMs are free to distribute computers with a different operating system or without any operating system. Microsoft does not provide refunds for Windows licenses sold through an OEM, including licenses that come with the purchase of a computer or are pre-installed on a computer. Based on the updated language, vendors refused to issue partial refunds for Windows licenses, requiring that the computer be returned altogether. In some countries, this practice has been ruled a violation of consumer protection law. Microsoft has acquired several companies and products during its history, including some that competed with earlier Microsoft products. Such acquired assets include DOS (Seattle Computer Products QDOS), FrontPage (Vermeer Technologies Incorporated FrontPage), WebTV (now MSN TV), Hotmail, Direct3D, Internet Explorer (Spyglass, Inc. Mosaic), Visio (Visio Corporation Visio), Windows Virtual PC (Connectix Virtual PC), and Windows Defender (GIANT Company Software, Inc. GIANT AntiSpyware). Microsoft rebrands the primary products of the companies it acquires, and in many cases offers them for free or bundles them with their operating system. Former Sun Microsystems chief executive Scott McNealy occasionally remarked that Microsoft never produced technology except by buying it: "R&D [research and development] and M&A [mergers and acquisitions] are the same thing over there." Microsoft's market dominance and business practices have attracted widespread resentment, which is not necessarily restricted to the company's competitors. In a 2003 publication, Dan Geer argued the prevalence of Microsoft products has resulted in a monoculture which is dangerously easy for viruses to exploit. While Microsoft's permanent workers enjoy some of the best corporate treatment,[original research?] a large part of Microsoft's labor pool exists outside this privileged class. This includes the use of permatemp employees (employees employed for years as "temporary," and therefore without medical benefits), use of forced retention tactics, where departing employees would be sued to prevent departure, as well as more traditional cost-saving measures, ranging from cutting medical benefits, to not providing towels in company locker rooms. Historically, Microsoft has also been accused of overworking employees, in many cases, leading to burnout within just a few years of joining the company. The company is often referred to as a "Velvet Sweatshop", a term which originated in a 1989 Seattle Times article, and later became used to describe the company by some of Microsoft's own employees. This characterization is derived from the perception that Microsoft provides nearly everything for its employees in a convenient place, but in turn overworks them to a point where it would be bad for their (possibly long-term) health. For example, the kitchenettes have free beverages and many buildings include exercise rooms and showers. However, the company has been accused of attempting to keep employees at the company for unreasonably long hours and working them too much. This is detailed in several books about Microsoft, including Hard Drive: Bill Gates and the Making of the Microsoft Empire. A US state lawsuit was brought against Microsoft in 1992 representing 8,558 current and former employees that had been classified as "temporary" and "freelance", and became known as Vizcaino v. Microsoft. In 1993, the suit became a US Federal Class Action in the United States District Court Western District Of Washington At Seattle as No. C93-178C. The Final Settlement came in 2005. The case was decided on the (IRS-defined) basis that such "permatemps" had their jobs defined by Microsoft, worked alongside regular employees doing the same work, and worked for long terms. After a series of court setbacks including three reversals on appeal, Microsoft settled the suit for US $93 million. A side effect of the "permatemp" lawsuit is that now contract employees are prevented from participating in team morale events and other activities that could be construed as making them "employees". They are also limited to 18-month contracts and must leave after that time for 6 months before returning under contract. Microsoft is the largest American corporate user of H-1B guest worker visas and has joined other large technology companies like Google in recently lobbying for looser H-1B visa restrictions. Critics have alleged that Microsoft has used funding to drum up support from think tanks and trade organizations such as the Alexis de Tocqueville Institution (AdTI), the Independent Institute, and Americans for Technology Leadership (ATL). During the antitrust case United States v. Microsoft, ATL sent a poll to 19 state attorneys general purporting to show that "the public believes state AGs should devote their energy to causes other than Microsoft". Also during the case the Independent Institute ran full-page advertisements in The New York Times and The Washington Post defending Microsoft, which was later revealed to have funded the ad campaign. The institute published Winners, Losers, and Microsoft: Competition and Antitrust in High Technology shortly thereafter. In June 2002, Champagne, an advertisement created by Xbox Europe, was banned by the Independent Television Commission after receiving 136 complaints. A press release for a 2002 report by the AdTI claimed "open-source software may offer target for terrorists." The report itself does not mention terrorism or how it would target open-source software, but does allege that open-source software may be more prone to security holes than proprietary software. It gives particular focus to GPL-licensed software, claiming that it is not cost-effective. In 2004 the AdTI announced a report, Samizdat alleging that the creator of the Linux operating system Linus Torvalds based it on MINIX. MINIX creator Andrew S. Tanenbaum strongly refuted this claim. Microsoft has countered that it funds many think tanks besides the AdTI, such as the American Enterprise Institute, the Cato Institute, the Center for Strategic and International Studies, and The Heritage Foundation and that it does not fund any specific research. In August 2004, the Advertising Standards Authority (ASA) of the United Kingdom ordered Microsoft to stop a run of print ads that claimed that the total cost of ownership of Linux servers was ten times that of Windows Server 2003. The comparison included the cost of hardware, and put Linux at a disadvantage by installing it on more expensive but poorer-performing hardware compared to that used for Windows. On January 22, 2007, Rick Jelliffe made a claim on his blog that a Microsoft employee offered to pay him to make corrections in English Wikipedia articles concerning Office Open XML. Microsoft spokesperson Catherine Brooker expressed the belief that the article had been "heavily written" by IBM employees who supported the rival OpenDocument format, though she provided no specific evidence. Internet entrepreneur and Wikimedia Foundation founder Jimmy Wales described Microsoft's offer as unethical. In 2014 details on a partnership between Machinima.com and Microsoft came to light regarding a marketing campaign for Xbox One. Machinima would offer some of its users $3 per thousand views if the user showed 30 seconds of an Xbox One game and mentioned the system by name. Controversy arose when it was reported that, under the terms of the promotion, participants were not allowed to disclose that they were being paid for said endorsements, which Ars Technica said conflicted with FTC regulations requiring recipients to fully disclose when such actions occur. Machinima stated that the confidentiality clause only applied to the terms of the agreement, and not to the existence of the agreement, and Microsoft ended the promotion and directed Machinima to add disclosures to the videos involved. In September 2015, Machinima settled with the FTC over charges that the ad campaign failed to comply with FTC endorsement guidelines; the FTC decided not to take action against Microsoft since it already has "policies and procedures designed to prevent such lapses". John C. Dvorak said that in the 1980s, Microsoft classified journalists as "Okay", "Sketchy", or "Needs work" and targeted "Needs work" journalists in an attempt to have them terminated. Dvorak said that he was denied information about Windows because he was on a blacklist. 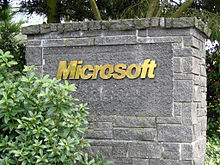 Mary Jo Foley stated that she was denied interviews with Microsoft personnel for several years following the publication of a story based on a memo describing the number of bugs in Windows 2000 at release. Microsoft (along with Google, Yahoo, Cisco, AOL, Skype, and other companies) has cooperated with the Chinese government in implementing a system of Internet censorship. Human rights advocates such as Human Rights Watch and media groups such as Reporters Without Borders criticized the companies, noting for example that it is "ironic that companies whose existence depends on freedom of information and expression have taken on the role of censor." Microsoft was the first company to participate in the PRISM surveillance program, according to leaked NSA documents obtained by The Guardian and The Washington Post in June 2013, and acknowledged by government officials following the leak. The program authorizes the government to secretly access data of non-US citizens hosted by American companies without a warrant. Microsoft has denied the participation in such a program. Microsoft helped the NSA to circumvent its encryption to intercept web chats on Outlook.com and gave it unencrypted access to Outlook.com and Hotmail email. Microsoft provided the NSA with access to users' data on its cloud storage service OneDrive (formerly SkyDrive). In a statement, Microsoft said that they "provide customer data only in response to legal processes." Microsoft has also come under criticism for developing software capable of analyzing the output of remote sensors in order to measure the competence and productivity of workers based on their physical responses. Microsoft has come under some criticism for its attitude to homosexuality and Xbox Live. Users may not use the string "gay" in a gamertag (even in a non-homosexual context, for example as part of a surname), or refer to homosexuality in their profile (including self-identifying as such), as the company considers this "content of a sexual nature" or "offensive" to other users and therefore unsuitable for the service. After banning 'Teresa', a lesbian gamer who had been harassed by other users for being a homosexual, a senior Xbox Live team member, Stephen Toulouse, has clarified the policy, stating that "Expression of any sexual orientation [...] is not allowed in gamertags" but that they are "examining how we can provide it in a way that won't get misused". GLAAD weighed in on the controversy as well, supporting the steps that Microsoft has taken over the years to engage the LGBT community. Polish users of Microsoft's Business Productivity Infrastructure website have noticed a white model's face has been photoshopped over the head of the African American model at center in the photograph on the main page of the Polish language version of the website. The website 'Photoshop Disasters' covered the story on 25 August 2009. As of 1:00 pm GMT on 25 August, this has been changed and the image on the Polish website now reflects the image on the English website. Microsoft later issued an apology regarding the incident. Spokesman Lou Gellos stated that Microsoft was "looking into the details of this situation." The apology was later restated on Microsoft's official Twitter page: "Marketing site photo mistake - sincere apologies - we're in the process of taking down the image." Jesse Jackson believes Microsoft should hire more minorities and women. Jackson has urged other companies to diversify their workforce. He believes that Microsoft made some progress when it appointed two women to its board of directors in 2015. ^ "Microsoft A History of Anticompetitive Behavior and Consumer Harm" (PDF). European Committee for Interoperable Systems. 2009-03-31. Retrieved 2009-05-25. ^ Orzech, Dan (2009-04-29). "Linux TCO: Less Than Half The Cost of Windows". CIO Updates. Archived from the original on 2015-02-08. Retrieved 2015-01-29. ^ Granneman, Scott. "Surprises Inside Microsoft Vista's EULA". Retrieved 2009-07-16. ^ Wong, Julia Carrie (2019-02-22). "'We won't be war profiteers': Microsoft workers protest $480m army contract". The Guardian. ^ a b Rodger, Will (1998-11-08). "Intel exec: MS wanted to 'extend, embrace and extinguish' competition". ZDNet. Archived from the original on 2006-12-11. Retrieved 2007-02-05. ^ a b "Expert Testimony of Ronald Alepin in Comes v. Microsoft - Embrace, Extend, Extinguish". Groklaw. 2007-01-08. Retrieved 2007-02-05. ^ a b Erickson, Jonathan (2001-07-22). "Embrace, Extend, Extinguish: Three Strikes And You're Out". Dr. Dobb's Portal. Retrieved 2007-02-05. ^ a b Livingston, Brian (2000-05-15). "Is Microsoft's change in Kerberos security a form of 'embrace, extend, extinguish'?". InfoWorld. Archived from the original on 2007-01-28. Retrieved 2007-02-05. ^ "EU report takes Microsoft to task". Retrieved 2006-06-06. ^ Pamela Jones (2008-02-17). "How to Get Your Platform Accepted as a Standard - Microsoft Style". Groklaw News. Retrieved 2010-03-30. ^ Gates, Bill (April 1976). "A Second and Final Letter". Computer Notes. Archived from the original on March 23, 2012. Retrieved 2012-03-23. ^ "Open source terror stalks Microsoft's lawyers". ^ "The EULA, the GPL and the Wisdom of Fortune Cookies". ^ "MSFT Annual Report 2006". Archived from the original on 2009-02-14. Retrieved 2019-01-30. ^ "Patent Payouts". Retrieved 2007-05-19. ^ "Open Source Software - A Legal Framework" (PDF). Archived from the original (PDF) on 2009-03-16. Retrieved 2009-06-23. ^ "Shared Source: A Dangerous Virus". Archived from the original on 2006-09-24. ^ Pratley, Chris (2004-04-28). "Word Myths and Feedback". Chris Pratley's OneNote Blog. Retrieved 2006-11-21. I also detected another old saw about hidden advantages or undocumented APIs that somehow made Word better than competing apps. The reality on this is so counter to the conspiracy it is astounding. The Office team barely talks to the Windows team. ^ Chen, Raymond. "What about BOZOSLIVEHERE and TABTHETEXTOUTFORWIMPS?". The Old New Thing. Retrieved 2007-09-18. ^ Spolsky, Joel. "How Microsoft Lost the API War". ^ "Buying without Windows-Don't want Windows?". Best Price Computers Ltd. February 2007. Archived from the original on 2012-04-26. ^ "Call on students". September 27, 2009. ^ "MS: it's (nearly) illegal to buy PCs without Windows". November 28, 2000. ^ "Microsoft's Dirty OEM-Secret". October 23, 2001. ^ Protalinski, Emil (2009-09-16). "OEMs pay Microsoft about $50 for each copy of Windows". Ars Technica. Conde Nast. Retrieved 28 December 2012. ^ "Microsoft official "valued customer" statement". ^ a b Jeremy Reimer (May 25, 2007). "Dell goes Ubuntu; "Windows tax" is $50 according to pricing". ^ Charlie Demerjian (March 3, 2007). "Cost of Windows tax calculated". Archived from the original on January 9, 2009. ^ "U.S. v. Microsoft: Court's Findings of Fact". ^ "Microsoft North American Retail Product Refund Guidelines". Microsoft. Archived from the original on 2012-09-06. Retrieved 27 August 2012. ^ "Man wins damages from Acer over Voleware refund". September 22, 2007. Archived from the original on April 6, 2009. ^ Gijs Hillenius (October 1, 2008). "CZ: Lenovo fails to silence GNU/Linux user on Windows refund". ^ Niv Lillian (December 3, 2008). "Dell customer awarded Windows refund". ^ "Microsoft software license terms for Windows Vista Home Basic, Home Premium and Ultimate versions" (PDF). ^ "Cour de cassation, civile, Chambre civile 1, 15 novembre 2010, 09-11.161, Publié au bulletin". November 15, 2010. ^ "DIRECTIVE 2005/29/EC OF THE EUROPEAN PARLIAMENT AND OF THE COUNCIL". May 11, 2005. ^ "Microsoft's list of companies it has acquired". Archived from the original on 2006-11-06. Retrieved 2018-12-25. ^ Burrows, Peter (2001-11-19). "Q&A with Scott McNealy". Businessweek. Archived from the original on 2007-10-17. Retrieved 2007-04-19. ^ "Cyberinsecurity: The Cost of Monopoly" (PDF). 2003-09-24. Archived from the original (PDF) on 2009-03-25. ^ "Troubling Exits At Microsoft". Archived from the original on 2007-05-02. ^ Andrews, Paul (23 April 1989). "A 'Velvet Sweatshop' or a High-Tech Heaven?". The Seattle Times. Archived from the original on 29 June 2012. ^ "Editor's note, MSJ August 1997". Archived from the original on 2007-02-14. Retrieved September 27, 2005. ^ Bendich, Stobaugh and Strong P.C. (2007-06-18). "Vizcaino Final Settlement". Retrieved 2009-10-14. ^ Allison, Kevin (7 March 2007). "Gates warns on US immigration curbs" – via Financial Times. ^ "Senators: Companies with "mass layoffs" shouldn't hire more foreign workers". ^ Gates, Bill (25 February 2007). "How to Keep America Competitive" – via washingtonpost.com. ^ Carney, Dan (15 May 2000). "Microsoft's All-Out Counterattack". Business Week. Archived from the original on 11 September 2010. Retrieved 8 November 2012. ^ Brinkley, Joel (18 September 1999). "Microsoft Covered Cost of Ads Backing It in Antitrust Suit". The New York Times. Retrieved 8 November 2012. ^ Liebowitz, Stan J.; Margolis, Stephen E. (1999). Winners, Losers, and Microsoft: Competition and Antitrust in High Technology. Independent Institute. p. 344. ISBN 978-0-94599-980-5. ^ Milmo, Cahal (6 June 2002). "Xbox's advert pulled after protest from TV watchdog". The Independent. Retrieved 24 April 2017. ^ Richardson, Tim (5 June 2002). "ITC bans 'offensive' Xbox TV ad". The Register. Retrieved 24 April 2017. ^ "Open Source Software May Offer Target for Terrorists, According to Study by Alexis de Tocqueville Institution's Committee for the Common Defense". Alexis de Tocqueville Institution. 30 May 2002. Archived from the original on October 13, 2002. ^ a b Lemos, Robert (16 August 2002). "Linux makes a run for government". CNET. Retrieved 8 November 2008. ^ Greene, Thomas C. (10 June 2002). "MS-funded think tank propagates open-source lies". The Register. Retrieved 8 November 2012. ^ "Torvalds claim to "invent" Linux probably false, says new study". Alexis de Tocqueville Institution. 14 May 2004. Archived from the original on June 1, 2006. ^ Loney, Matt (20 May 2004). "Report on Linux origins falls at the starting gate". ZDNet. Retrieved 8 November 2008. ^ Tanenbaum, Andy (20 May 2004). "Some Notes on the 'Who wrote Linux' Kerfuffle, Release 1.5". Archived from the original on September 11, 2010. Retrieved 8 November 2012. ^ "Non-broadcast Adjudication". Advertising Standards Authority. Archived from the original on January 29, 2006. Retrieved 2006-03-31. ^ Kuchinskas, Susan (26 August 2004). "Microsoft Ordered to Pull Anti-Linux Ad". IT Business Edge. Retrieved 2006-03-31. ^ Rick Jelliffe (2007-01-22). "An interesting offer: get paid to contribute to Wikipedia". Retrieved 2015-01-29. ^ Brian Bergstein (23 January 2007). "Microsoft offers cash for Wikipedia edit". Retrieved 2009-05-25. ^ a b Arthur, Charles (2011-10-18). "Nokia and Microsoft fingered over comments on adverse Lumia review". London: The Guardian. Retrieved 2012-01-14. ^ a b c Orland, Kyle (January 20, 2014). "Stealth marketing: Microsoft paying YouTubers for Xbox One mentions". arstechnicha. Retrieved January 21, 2014. ^ Orland, Kyle (2015-09-02). "Machinima settles with FTC over "deceptive" Xbox promotion". Ars Technica. Retrieved 4 September 2015. ^ Dvorak, John C. (2008-07-17). "Microsoft, the Spandex Granny". PC Magazine. ^ "Corporate Complicity in Chinese Internet Censorship". Retrieved 2006-11-23. ^ "China: Internet Companies Aid Censorship". Retrieved 2007-02-06. ^ Savage, Charlie; Wyatt, Edward; Baker, Peter (June 6, 2013). "U.S. says it gathers online data abroad". The New York Times. ^ a b Greenwald, Glenn; Ewen MacAskill; Laura Poitras; Spencer Ackerman; Dominic Rushe (12 July 2013). "How Microsoft handed the NSA access to encrypted messages". The Guardian. London. Retrieved 12 July 2013. ^ Alexander, Leigh. ""theGAYERGamer" Gets Xbox Live Ban, Microsoft Explains". ^ Alexander, Leigh. "Microsoft Explains "Gaywood" Ban". ^ "Identifying Yourself As A Lesbian Gets You Banned On XBOX Live". 25 February 2009. ^ Plunkett, Luke. "Microsoft Looking To Change Xbox Live Sexual "Discrimination"". ^ "XBox Live, Homophobia, and Online Gaming Policy". 14 September 2011. ^ "Microsoft: Optimize Your Business Productivity Infrastructure, English version". Website. Microsoft Corporation. Archived from the original on 2009-08-25. Retrieved 2009-08-25. ^ "Photoshop Disasters: "Microsoft Poland: At Least They Left The Asian Guy In"". Website. Microsoft Corporation. 2009-08-25. Archived from the original on 2010-10-30. Retrieved 2009-08-26. ^ "Microsoft apologizes for web photo racism". Website. CIOL News. 2009-08-26. Archived from the original on 2009-09-21. Retrieved 2009-08-26. ^ "The Official Microsoft Twitter". ^ Gross, Ashley. "Rev. Jesse Jackson Praises Microsoft's Diversity Efforts, But Urges The Company To Do More". Archived from the original on 2015-12-08. Retrieved 2015-12-03. Charles, John. "Indecent proposal? Doing Business With Microsoft". IEEE Software. January/February 1998. pp. 113–117. Cusumano, Michael A.; Selby, Richard W. Microsoft Secrets: How the World's Most Powerful Software Company Creates Technology, Shapes Markets and Manages People. New York: Free Press, 1995. Edstrom, Jennifer; Eller, Marlin. Barbarians Led by Bill Gates: Microsoft from inside: How the World's Richest Corporation Wields its Power. N.Y. Holt, 1998. Gavil, Andrew I.; First, Harry (2014-12-09). The Microsoft Antitrust Cases - Competition Policy for the Twenty-first Century. Cambridge, Massachusetts, USA: MIT Press. ISBN 978-0-262-02776-2. ISBN 0-262-02776-3. Goldman Rohm, Wendy (September 1998). The Microsoft File: the secret case against Bill Gates. New York, NY 10022, USA: Times Books. ISBN 0-8129-2716-8. Moody, Fred. I Sing the Body Electronic: A Year With Microsoft on the Multimedia Frontier. New York: Viking, 1995. Bozman, Jean; Gillen, Al; Kolodgy, Charles; Kusnetzky, Dan; Perry, Randy; & Shiang, David (October 2002). "Windows 2000 Versus Linux in Enterprise Computing: An assessment of business value for selected workloads". IDC, sponsored by Microsoft Corporation. White paper. In an article published by BusinessWeek, Dan Kunsnetzky suggests that study was stacked against Linux'.